Your destination for an exciting nature adventure! 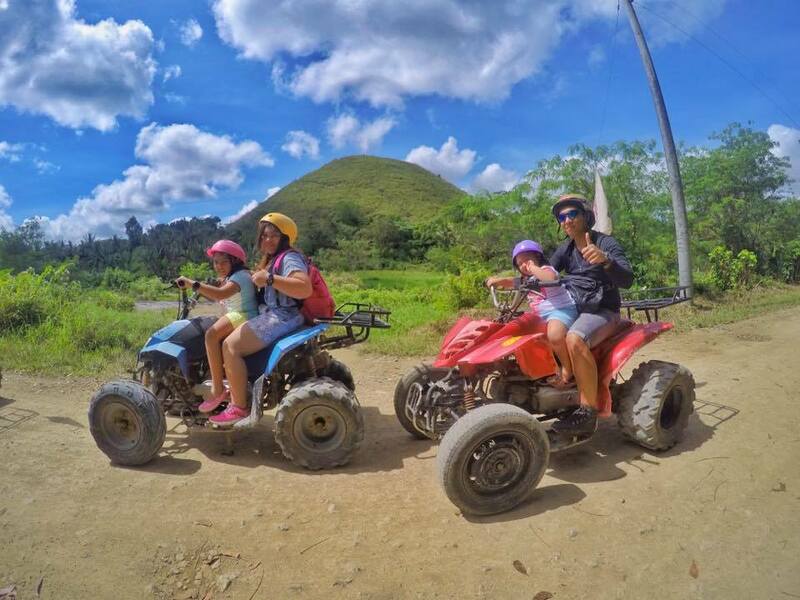 in a muddy and adventurous way with the ATV (All-Terrain Vehicle) Eco-Adventure Tour. Bohol sites Get ready to get down and dirty with your family, friends, and loved ones and have an exhilarating experience through an ATV ride. 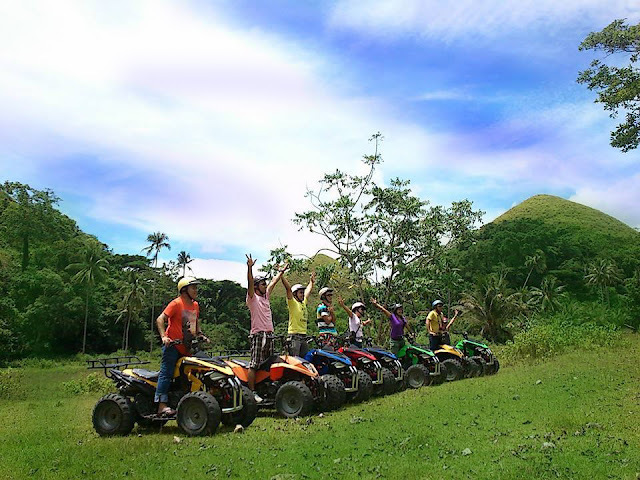 The ATV Eco-Adventure Tour is located in Brgy. 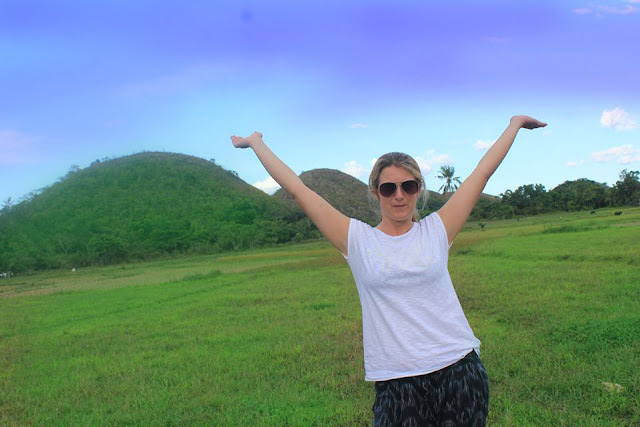 Buenos Aires, Carmen, Bohol. Bohol attractions Prior to the tour, tourists will be given a quick briefing and short orientation regarding the fundamentals of ATV 4-wheeler control and safety and required to sign a waiver indicating that you are agreeing to the proposed rules of safety before the start of the tour. Test run your ATV on this rocky backyard before making your way around the hills. Enjoy the spectacular view. 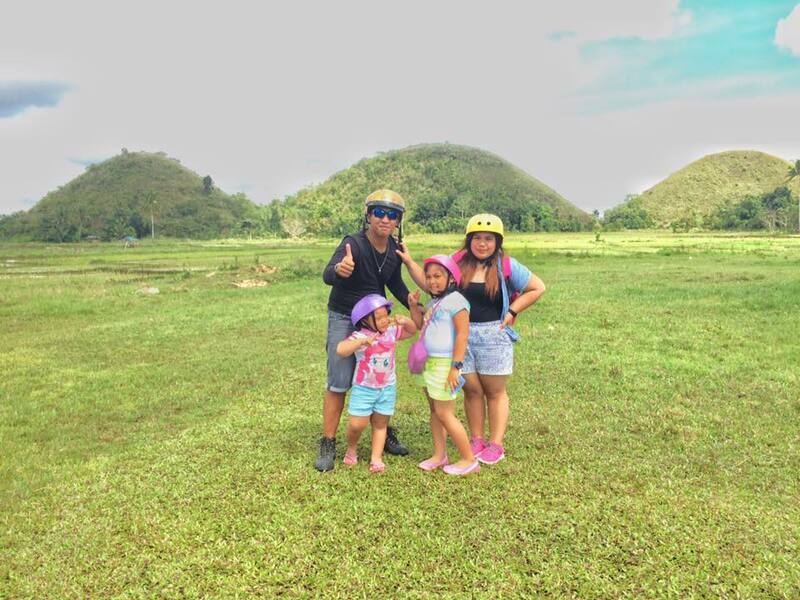 Grab your cameras or gadgets and take some selfie with the hills as your background Bohol tourist spots. 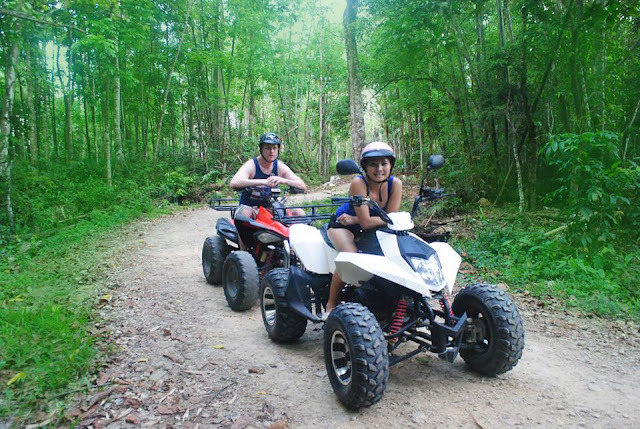 So are you ready to get down and dirty? How to Get There ATV Adventure Tour is located at Carmen Bohol. 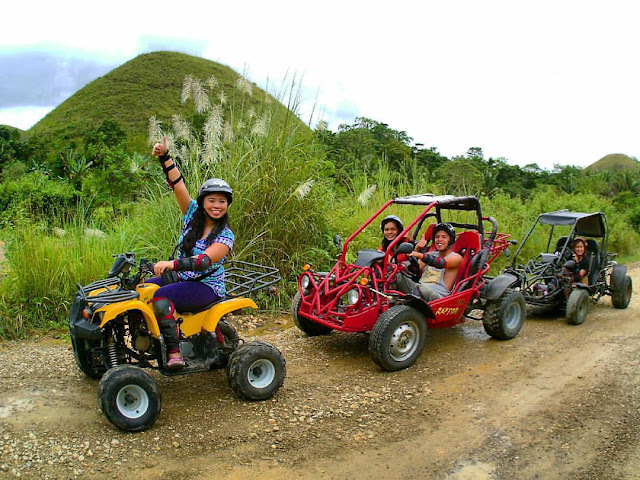 It is optional for the countryside tour. Just fill up our Booking & Reservation Form below. Schedule All ATV shops will open from Monday-Sunday.Graham ATV Rental will open 7:00am-6:00pmChocolate Hills ATV Rental is 8:00am-6:00pmBohol Chocolate Hills ATV Guided Tour is 8:00am-5:00pm. What is included in the Price? 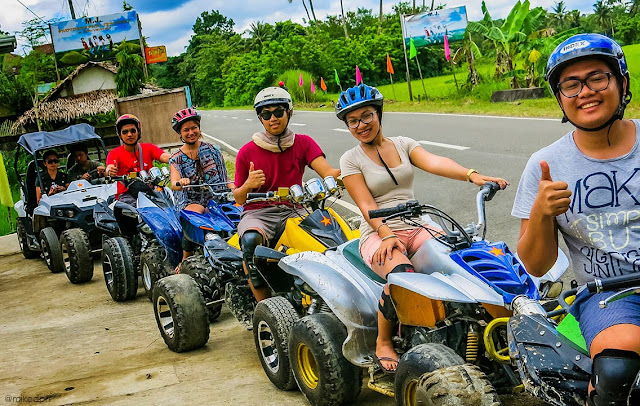 For 30 minutes ride will route in Three Sisters Hill with estimated of 5kms and 1 hour will route to Three Sisters Hill and Eight Sisters Hill with estimated of 12kms. Tourist has a guide to assist during the tour and demonstrate instructions before they will start the tour. 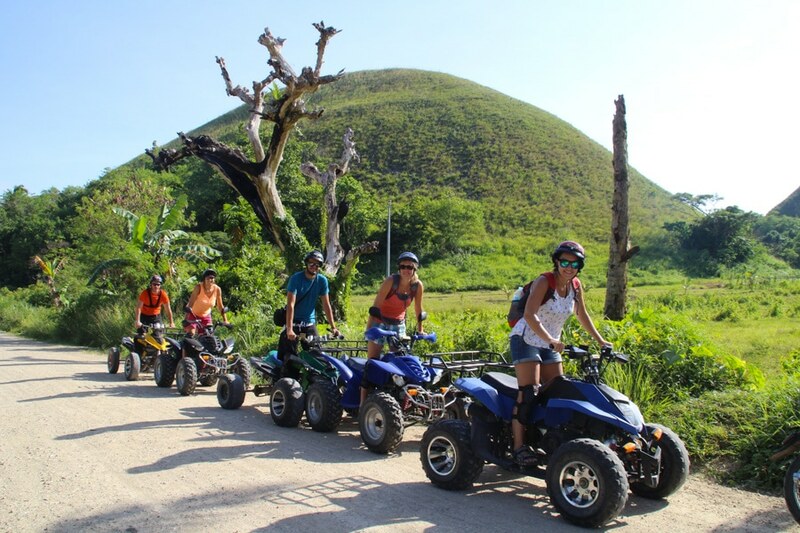 Precaution statement The Ecotour is open for 10 years old above and no age limit for the backride.ATV is maximum of 2 persons, the driver and back rider or preferably a child.For the Buggy is maximum of 2 persons. What to wear? Just wear comfortable dress preferably shorts and shoes or slippers. 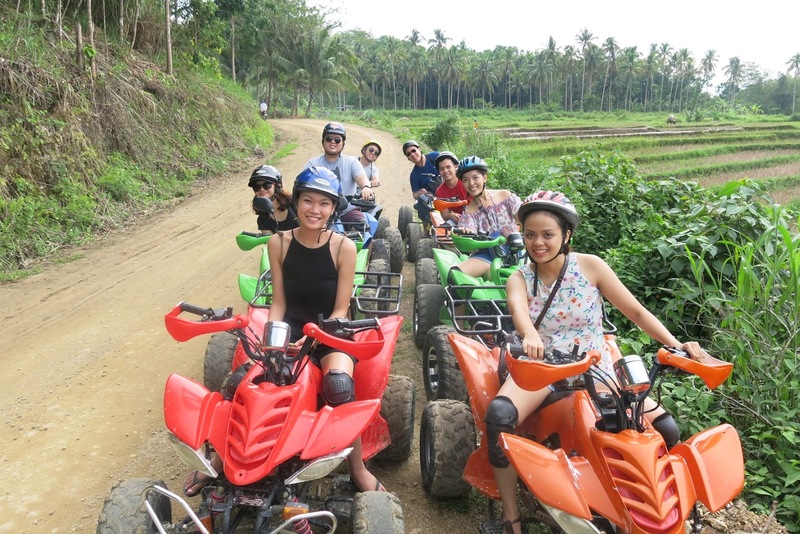 Before having the tour tourist are provided a helmet and safety gears for safety purposes. What to bring? 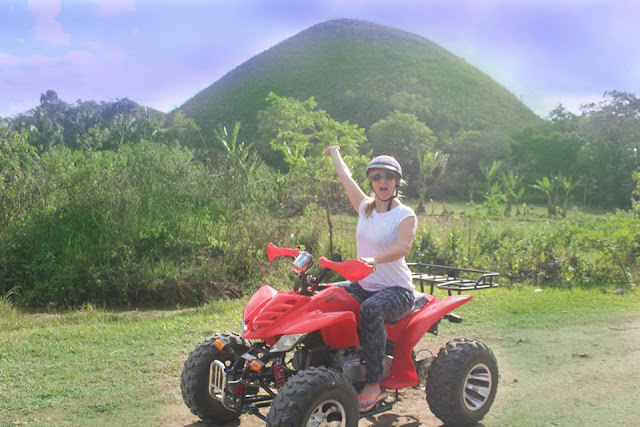 If possible you have to bring extra clothes just in case you got muddy during the tour. 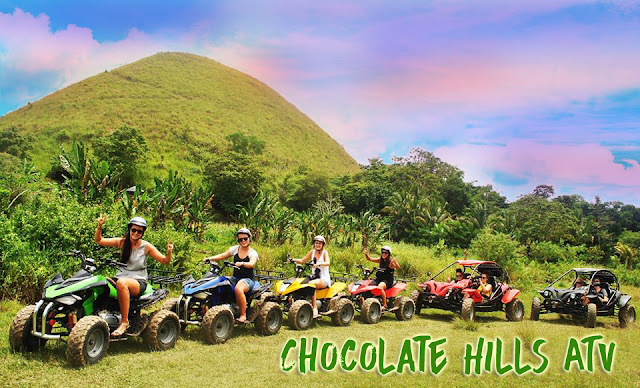 Souvenir items Graham ATV and Bug car Rental and Chocolate Hills ATV Rental has a souvenir shop that displays souvenir t-shirts, bags, key holders and etc. But there are other souvenir shops that surround during the tour. You can have a t-shirt for Php 100 above and key holder for 3 for Php 100. Other Important Information: Tourists are provided a waiver and have it read and sign before they will start the tour.